This entry was posted in Meeting Agendas on March 21, 2016 by Chris Boone. I. Meeting called to order 6:37 pm. II. Board Members in Attendance: Grelson, Glenka, Kolbeck and Miller. Members Present: Lon McCullough, Christina Kirksey, Ken Marsh, Diane and Martin Bee, and JP Glenka. Assemblyman Randall Kowalke and his wife Karen. IV. Assembly Report: Susitna Council meetings to be set on the same day as TCCC. 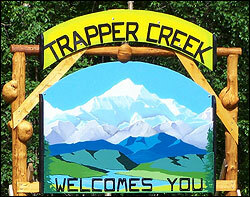 IMD Trapper Creek Gravel was rejected. Marijuana regulations to come before assembly. V. TCCSA CIP Report: CIP#3 expended. CIP#4 Funding of $10,000 expected shortly. Review of the election results and seating of the new board are as follows: Kirksey & Miller to receive two year terms, Glenka & Kolbeck to receive one year term. Chair-Paula Glenka, Vice chair- Ralph Kolbeck, Secretary- Levi Miller, Treasurer- Christina Kirksey. Motion to accept the slate as proposed by Miller seconded Kolbeck passed unanimously. Janet Grelson to be removed as a signer on all TCCC banking accounts. Christina Kirksey to be added as a signer on all TCCC banking accounts. 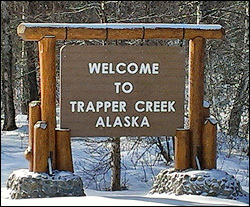 Results of the February 2, 2016 Assembly meeting on IMD Trapper Creek Gravel. This entry was posted in Meeting Minutes on March 21, 2016 by Chris Boone.